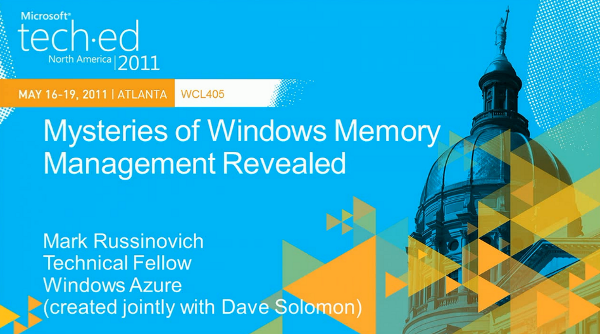 There are so many myths about memory management in windows. Often people use the task manager to show that program X is a resource hog, because it is eating too much main memory. But most time they are using the wrong columns and make wrong assumptions whats going on. Analyzing memory problems on windows needs a deep understanding how memory management in windows works and which tools you can use to find problems. One of the best sources for this kind of information is Mark Russinovich the author of the famous Sysinternals tools. If you want to become a memory management guru, than watch his presentation "Mysteries of Memory Management Revealed Part1, Part2".